The Evangelical Lutheran Church in America collections are great for finding genealogical information. 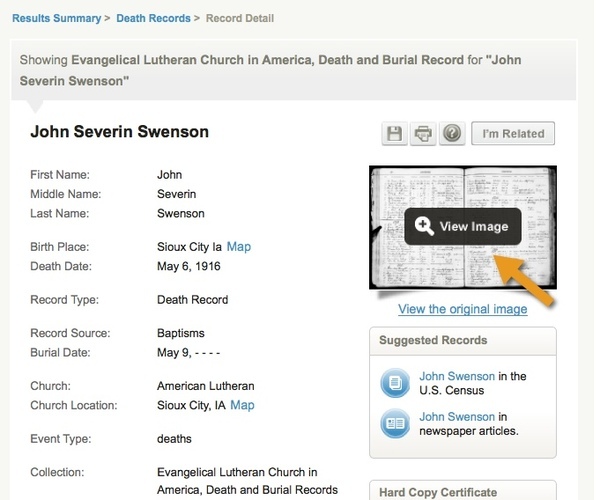 These collections make it possible to find birth, baptism, confirmation, marriage, and death records for members of churches affiliated with the ELCA. Now, those records are even easier to use. Entire families often attended the same church. It's not unusual to find your ancestor's siblings, parents, grandparents, and cousins in the same church. Now you can find those other family members without having to do multiple searches. Once you find a record you are interested in, click to view the image. Now with the enhanced image viewer, you can use the Previous and Next image buttons to scroll through that record book. 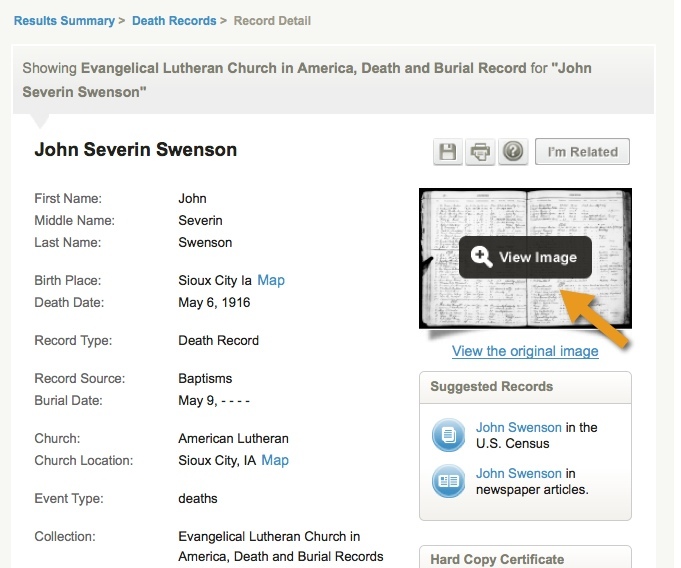 In this example, we can scroll through the death register of the ELCA church in Sioux City, Iowa. You can find the ELCA collections under Birth Records, Marriage Records, and Death Records on the search form. You can learn more about searching these records here. The Evangelical Lutheran Church in America collections cover the mid-1800s through 1940. Look for more improvements to be made to the ELCA collections!